The “Site Administrator” role is exactly like the Global Administrator except this role only has access to one site that is defined when the account is created. The Site Administrator is generally reserved a member of your client’s staff (i.e. Manager of a Hotel or Apartment property). To configure a Site Administrator account you must first login to your Global Administrator account. 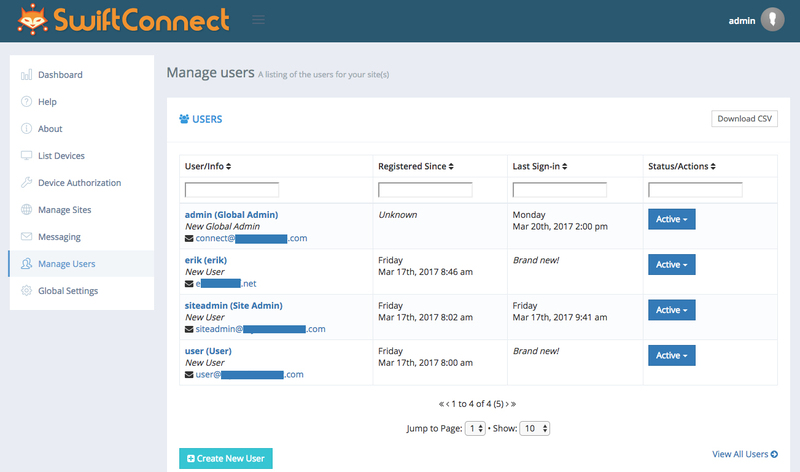 From here, click on Manage Users. Lastly, set the user’s permissions. In the box labeled “Groups,” checkmark the Site Administrator option and select the “home” button so it turns blue. 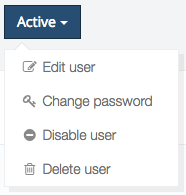 After, deselect the “User” option above. Click on the blue Create User button. 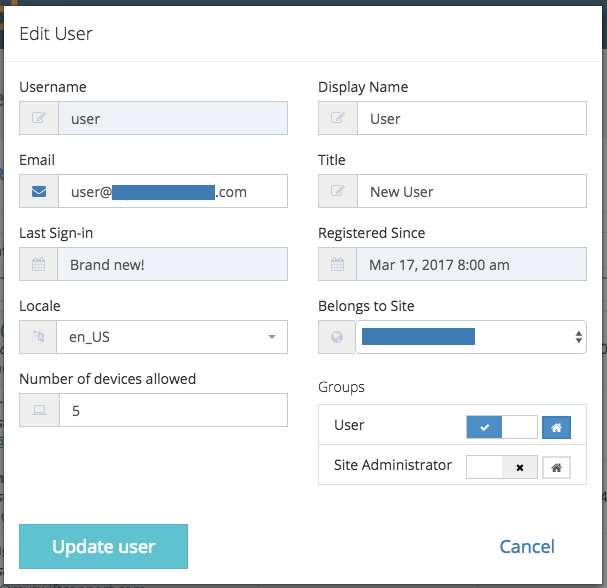 Once the Site Administrator is created the email used to during the Site Administrator creation will receive an email to setup the password for the account. If this email is not received, you can resend it by clicking the blue Active button next to the user account in your Manage Users section and selecting Change Password from the dropdown menu. 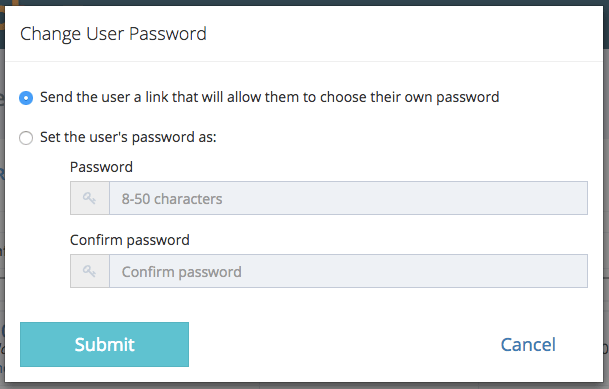 Make sure “Send the user a link that will allow them to choose their own password” is selected and click Submit.